Small waste water treatment plant needed a new, quick execution solution to processing challenges. Public water utility potable water treatment facility needed immediate solution for issues of high liquid transport, solidification & disposal costs due to a backlog of material. Steel finishing mill in need of a newer technology to replace an obsolete dewatering system. This axle rebuilding facility generates approximately 2 drums per day of grinding swarf mixed with cool an oil/water based coolant. This material, because it contains a large quantity of liquid, needed to be disposed of as a “special” waste at the rate of $400.00 per drum. This mill manufactured paper products from Old Corrugated Containers (OCC). OCC rejects are the plastic, steel, tape and other non-fibrous, non-recyclable material that is a contaminant to the manufacturing process. 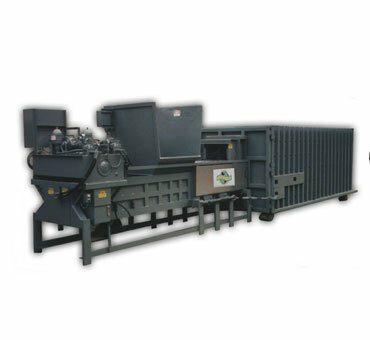 This waste stream also includes a percentage of wet-strength and paper fiber that is rejected from the process as well. Because of increasingly stringent Federal regulations, the large volume of wet waste was becoming an issue for the local landfill which this plant used, causing the landfill to refuse loads containing too much free liquid. 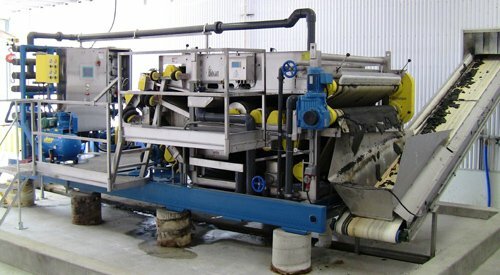 In order to remedy the problem, in November 1995 this yogurt plant installed a Sebright Products Model 4030X High Density Extruder to process their wet waste. This full product line dairy wholesaler was looking for a way to dispose of liquid dairy products and expired materials, including fluid milk, ice cream, cottage cheese, fruit juice and general plant refuse.